Beginning with the 2017-18 academic year, the Free Application for Federal Student Aid (FAFSA) will be available October 1. Students and families will use income tax information from two years prior to complete the application. These significant changes, announced in December of 2016 by the Department of Education will make the FAFSA process earlier, easier and more accurate. The 2019-2020 FAFSA will be available October 1, 2018. For 2019-2020 HSSU’s priority date for filing the FAFSA will be February 1, 2019. The 2019-2020 FAFSA will require use of 2017 tax information. Students who qualify are strongly encouraged to use the IRS Data Retrieval Tool to import tax information directly to the FAFSA. Using this tool should streamline the verification process should you be chosen. What if my income is significantly different than it was in 2016? If you had significant loss of income, divorce in your family, loss of a family member or other extenuating circumstances not reflected in your 2017 tax return, you must file your FAFSA and then contact the Office of Financial Assistance. Will I get my financial aid package earlier if I file earlier? Incoming students who file a 2019-2020 FAFSA between October 1 and February 1 will receive a financial aid package by the end of February. This will allow more time to review and compare awards before the May 1 admissions deadline. Enrolled students who file a 2019-2020 FAFSA between October 1 and February 1 will receive financial aid packages as usual in late spring AFTER registration is complete. If I file by the priority date and I received need-based aid last year, will I receive the same financial aid package again this year? Many factors can impact whether you receive the same financial aid resources from year to year, including a change in income, number of family members in your household, number of students in college, etc. Institutional funding levels also are subject to change, as are criteria used to award funding each year. Filing by the priority date each year is the best way to position yourself for the most financial aid resources you might be eligible to receive. If you have additional questions regarding the 2019-20120 FAFSA, please visit Contact Us. To review our printable checklist, click here. 1. Be admitted to the University as a degree-seeking or initial certification student. 2. Complete a Free Application for Federal Student Aid (FAFSA) online at FAFSA.ed.gov that includes our school code (002466) for the academic year in which financial aid is sought. 3. If you are a new student please Contact the Office of Financial Assistance five to seven business days after receiving a Student Aid Report (SAR) from the student-aid processing center by calling us at (314) 340-3500 or by email at FinancialAssistance@hssu.edu to see if your application has been received. If you are a returning/continuing student please check your Hornet email five to seven business days after submitting your renewed/updated FAFSA to review your Financial Aid status update notification email. 4. Complete any required documents listed in your notification email. Documents for the upcoming academic years are updated by the start date of registration for the fall semester and are available right here at this website under "Forms". 5. Once your documents have been submitted please allow the Financial Assistance office three to five business days to process your documents and generate your Financial Aid package. You will receive a final financial aid status update via email informing you that your award letter is ready for review at your MY HSSU Student Portal. This web site is your source for filling out your FAFSA for federal student aid. All students are required to complete the FAFSA, which is a free Department of Education tool that collects pertinent information in order to calculate your expected family contribution (EFC). All colleges and universities use your EFC to determine your eligibility for aid. Priority consideration is given to students who file prior to February 1st. In order for Harris-Stowe State University to receive an electronic copy of your application, you must include our school code on your application. 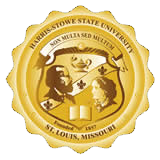 Harris-Stowe State University's school code is 002466. For assistance with completing you FAFSA, print our reference sheet by clicking here! Before any loan lender will release your loans to HSSU, you must complete a Master Promissory Note (MPN) and Entrance Loan Counseling online at StudentLoans.gov. This web site is for completing a Direct Loan Program electronic MPN for student subsidized and unsubsidized loans or for parent PLUS loans that your parents have taken out to help pay for your education. Please note that the parent must complete their own MPN if they have taken out a parent PLUS loan. You and your parent will be required to use your FSA ID to complete an electronic MPN. This is the same FSA ID used to electronically sign your FAFSA. For additional information or to ask general FSA ID questions, you can visit the official site. For additional student loan assistance please visit the US Department of Education's website for contacting the Ombudsman.